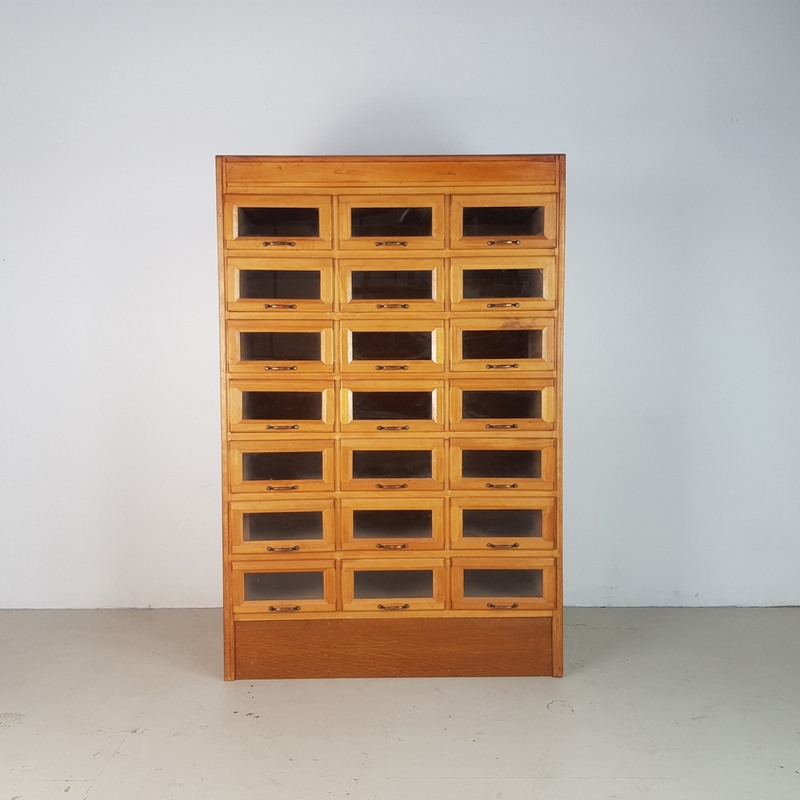 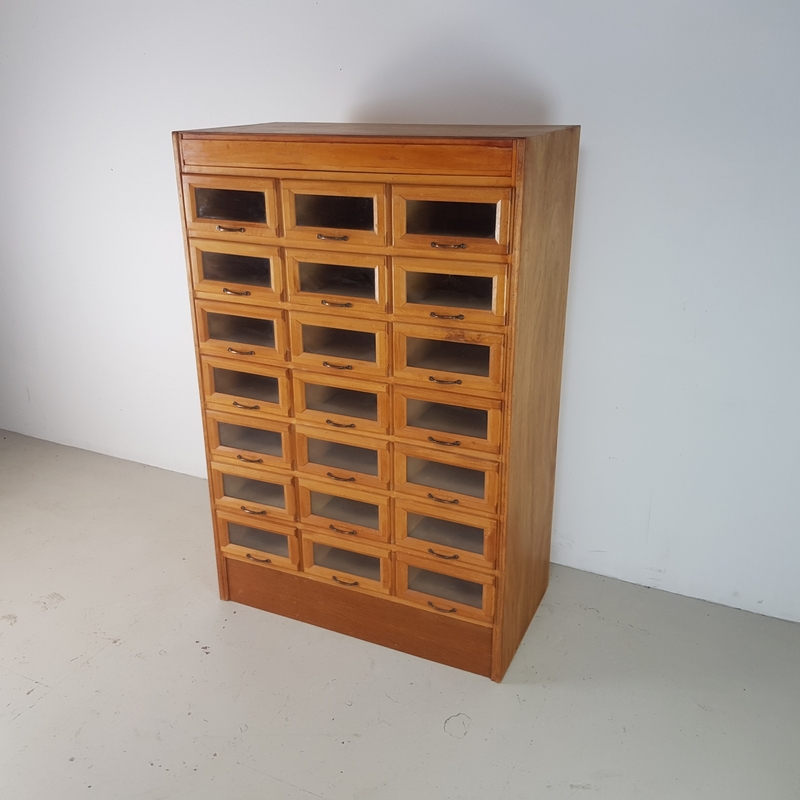 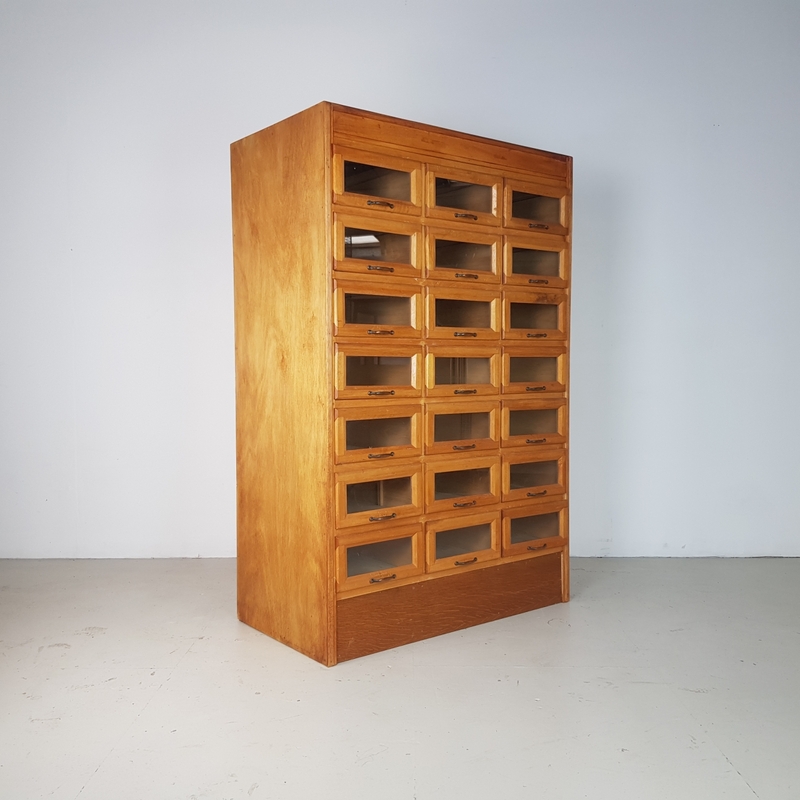 Lovely 21 drawer haberdashery shop cabinet from the first half of the last century. 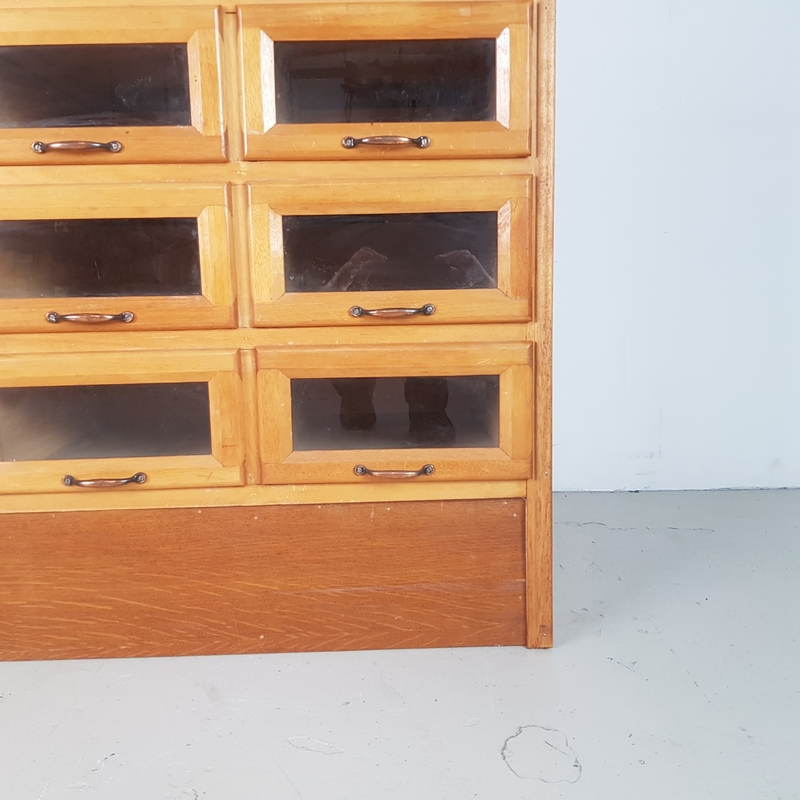 It has 21 glass fronted drawers, all with original metal D handles. 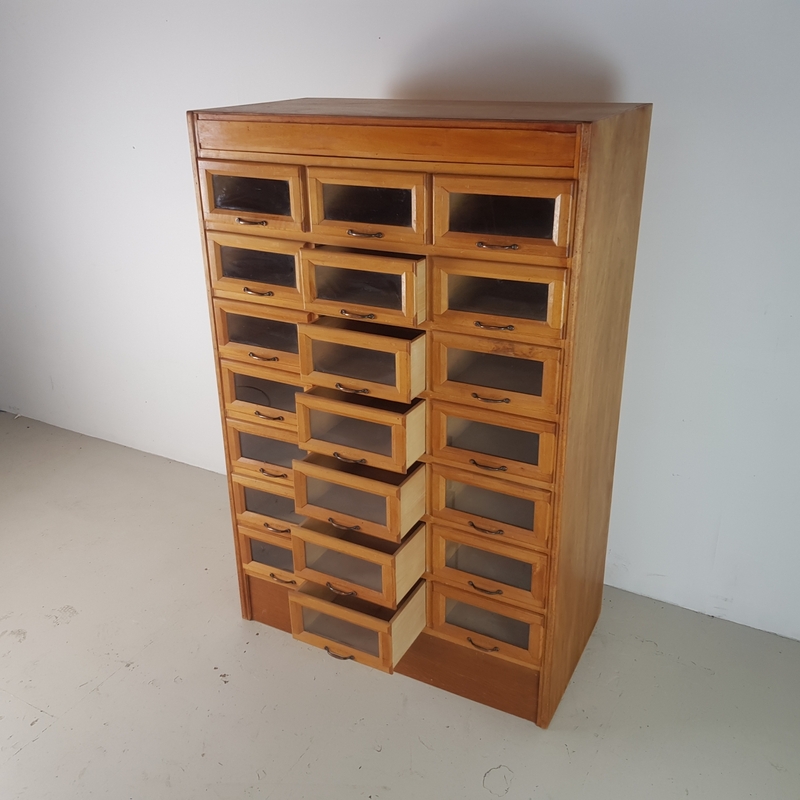 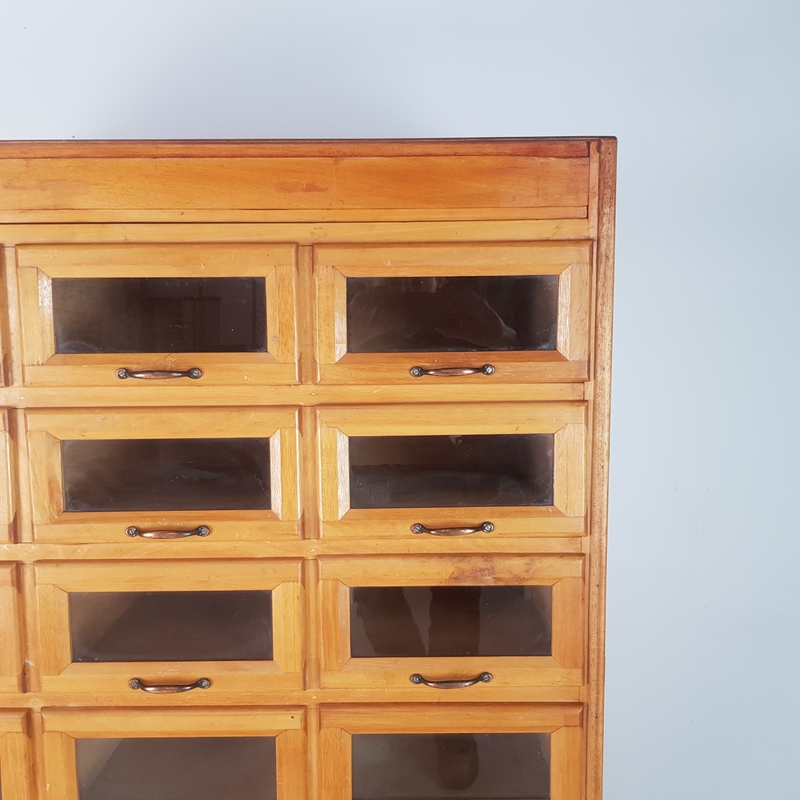 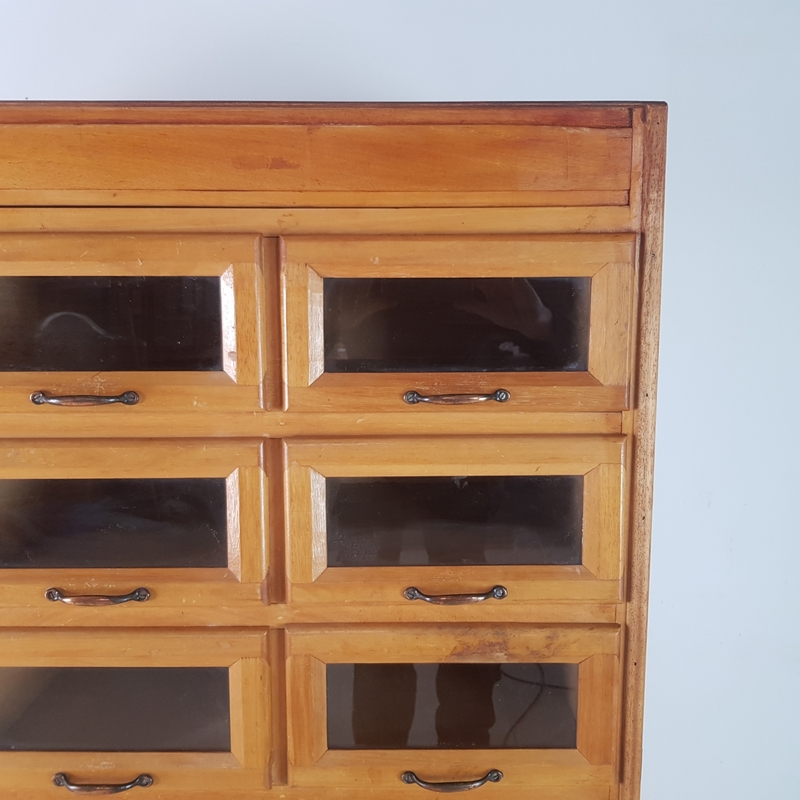 Drawers: 25cm W x 41cm D x 13cm H.